If you have ever needed an excuse to spend a weekend in Belgium then as a cyclist you have two excellent options which will more than satisfy your interest in the sport. One is the Tour of Flanders race weekend in the spring of each year. 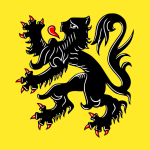 The professional race is on Sunday but on Saturday you can ride the same roads as the pros in the Tour of Flanders sportive along with 14,000 other fanatics on the same hallowed cobbled climbs. So it’s riding on Saturday morning followed by beers on Saturday night, if you aren’t too broken, and then on Sunday it’s more beers, frites and mayonnaise while watching the pros agreeing with yourself that you were much more stylish when you rode the climbs the day before. The other weekend which involves cycling but less riding is the Koksijde world cup cyclo-cross/Ghent 6 Day track weekend in November each year. This has become an off season annual pilgrimage of sorts for hundreds of cyclists from all over the UK, with many meeting here rather than in the UK. Living an hour from the channel tunnel terminal at Folkestone means getting to France is very easy so in less than two hours I’m in France with Koksijde a quick 45 minute trip on up the coast. Not wanting to hit the beer and frites too early we stopped in De Panne for lunch and still had plenty of time to get to the main races. Arriving at the venue it’s really simple to park along the road near the event and walk in. Cross is very popular in Belgium. Paying €15 may seem a lot to watch a cross race but when you get in you forget this as it’s more of a football match atmosphere than a cycle race. The crowd know who the major players are and many rider fan clubs were present with flags and banners. What you notice more is the noise coming from the beer tent which opens for the first race at 9.00am and the singing and dancing fans in it. Euro pop and sing-alongs get the crowd going and some people don’t even watch the races as they get too carried away in the tent. It’s a pretty big tent as well. The women’s race was first big race for us in the afternoon after the U23 men’. British riders Nikki Harris, Helen Wyman, Gabby Durrin and Hannah Payton got cheered the whole way round with British national champion Harris eventually finishing third much to the delight of her Belgian team supporters. This was a good warm up for the men’s race with just enough time to get some frites and mayo washed down with several beers before it started. By the time the men’s race started at 3.00pm the crowd had swelled to 10 deep in most parts and soon as the action started so did the noise. Crowd favourite, world champion and living cross legend Sven Nys showed off his rainbow jersey at the head of the race and you could tell where he was on the circuit thanks to the wave of noise which greeted him the whole way round. Alas the cheering wasn’t enough and he finished fourth but I don’t think anyone minded at the end. The crowd had come to cheer and watch a race and that’s what they got, the Belgian Niels Albert won so they got a home victor at least. British interests were well represented with national champion Ian Field finishing in 28th place despite a crash. Then it was back in the car and a one hour trip to the beautiful city of Ghent. Once there it was a quick spruce up and then a wander into the city centre for some dinner before hitting the track. You always end up spending longer in the town centre but it doesn’t matter as the track is less than 10 minutes in a taxi and the racing goes on until 2.00am. There’s bike racing going on here somewhere. Your entry ticket to the track also comes with a free beer token which sets the scene for the night. Up into the track centre the atmosphere really hits you; there’s thousands of people, cheering, loud music, dancing, and bike racing. This is real 6 Day racing, a carnival atmosphere where people gather to watch bikes and have a good time. Races are won, prizes presented, stars and dignitaries wheeled out to the public and despite most of the crowd not knowing or caring who they are they get a rapturous reception regardless. A break in the racing half way through sees a local pop star come out on the track to belt out a few cover versions with help from people on the barriers. Then it’s the derny race where the riders of the little motorbikes are greeted with as much enthusiasm as the cyclists and it’s yet another tight victory for the winner. The racing goes on until 2.00am so by that stage most people have lost track of the racing as the beer has taken over but there is never any hassle. People are more concerned about getting back into town to continue the revelry in one of the many bars. Sunday mornings in Ghent are always a slow affair as most cafes don’t open until 10.00am but seeing as we were in no real rush a leisurely breakfast after a lie in was welcome. Having been round town the evening before it’s nice to see the place in daylight with places open and local markets in the morning. We had an early afternoon tunnel back so had to get on the road and it seemed like no time before we were back in Calais and home shortly after. If you’re not in a rush home on Sunday then Bruges is just of the road back so you can stop for lunch and a look round the stunning city centre. If you have a bit of time then you can head 30 minutes drive south from Ghent to Oudenaarde and the Tour of Flanders museum. It’s full of memorabilia from the biggest race in Belgium and should whet the appetite to come back watch the race the following year and maybe ride the sportive the day before as well – as if you’ll need an excuse to come back to the heartland of cycling. I’ve already booked up again for both weekends in 2014! Tagged belgium, cx, cyclocross. Bookmark the permalink.